Mats Braun, Ph.D., is a senior lecturer at the Metropolitan University Prague. Since 2010 he has served as a member of the Executive Council of the Central and East European International Studies Association (CEEISA). He was the Programme Chair of the association’s convention in Wroclaw in 2007. He holds a PhD from the Faculty of Social Sciences, Charles University. He has published his works in Journal of Common Market Studies, Journal of Contemporary European Research and Cooperation and Conflict, among others. He is the author of the book Europeanization of Environmental Policy in the New Europe: Beyond Conditionality (Ashgate/Routledge – 2014). During the fall of 2015 he was a visiting scholar at the Cornell Institute for European Studies, Ithaca. In 2016 he lectured regularly at Dalarna University in Sweden. He was a research fellow at the Institute of International Relations, Prague from 2005-2014, and he is a member of the external advisory team on European issues of the Czech Minister of Foreign Affairs. In the period from 2007-2014 he was editor and editor-in–chief of the journal Perspectives – Review of International Affairs. In his research he focuses on regional integration and in particular on the process of European integration. Currently he works on a book on subregional integration in Europe. Professor Oldrich Bures is the founding director of the Center for Security Studies and Professor of International Political Relations at Metropolitan University Prague. He was previously a senior lecturer at Palacky University, a Fulbright Fellow at the Joan. B. Kroc Institute, University of Notre Dame, and an External Research Fellow at the Centre for European Security, School of English, Sociology, Politics & Contemporary History, University of Salford. From October 2016 till March 2017, he is a COFUND Marie Curie Senior Research Fellow at the Institute of Hazzard, Risk and Resilience at Durham University. From 2009 till 2018, he was the Head of the Department of International Relations and European Studies at Metropolitan University Prague. His research is focused in the areas of Conflict Resolution and International Security, with special emphasis on privatization of security, (counter-)terrorism. and recently also migration. He was awarded several external research grants, including three multiple-institutions grants by the Czech Science Foundation. He is also a principle co-investigator of an applied research grant awarded by the Technology Agency of the Czech Republic. His work has been published in Security Dialogue, Cooperation and Conflict, Terrorism and Political Violence, Studies in Conflict and Terrorism, International Studies Review, International Peacekeeping, Intelligence and National Security, and Journal of Business Ethics, among other key journals. He is the author of several monographs, including EU Counterterrorism Policy: A Paper Tiger? (Ashgate, 2011) and Private Security Companies: Transforming Politics and Security in the Czech Republic (Palgrave Macmillan, 2015), and (co-)editor of several edited volumes, including A Decade of EU Counter-Terrorism and Intelligence: A Critical Assessment (Routledge 2017) and Security Privatization: How Non-security-related Private Businesses Shape Security Governance (Springer 2018). He also has an extensive record of media appearances. Professor Nik Hynek studied political science and international relations at the Masaryk University, the University of Plymouth, and the University of Bradford where he received his research doctorate degree in Security Studies and International Politics (2011). Currently he holds the title of Associate Professor (docent) after he received his habilitation at the Comenius University in Bratislava in Theory of Politics (2013). Apart from the Department of International Relations FSV UK he also works at the Metropolitan University Prague; in the past, he also worked at the Institute of International Relations in Prague where he founded and directed a research centre on security. He was a visiting research scholar at the Columbia University in New York and The London School of Economist and Political Science. Also, he was Associate Editor of the Journal of International Relations and Development (Palgrave Macmillan). 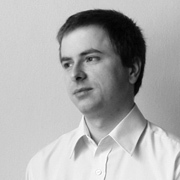 Aleš Karmazin, M.Sc. received his MSc(Econ) in International Relations from the Aberystwyth University and MSc in China in Comparative Perspective from the London School of Economics, where he was awarded the Fei Xiaotong Prize for the best MSc dissertation in the respective programme. His research interests include the issue of international order and its composition, domestic and foreign policy of China and India, international relations in East Asia, the English School of IR, and concept of the state and sovereignty in IR. His PhD thesis focuses on the contructions of sovereignty in the cases of China and India. He was a visiting researcher at the Peking University. 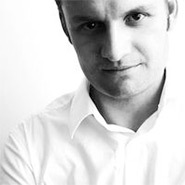 Michal Kolmaš is an assistant professor and deputy head of Asian studies department, Metropolitan University Prague. He received his M.A. in international relations and European studies from the Masaryk University in Brno and his Ph.D. in IR from Charles University. During the study, he spent two years at Japanese universities. He focuses on Asian security, Japanese foreign and domestic policy, contemporary (Western and non-Western) IR theory and environmental security. He has published in journals including The Pacific Review (2x), Japanese Journal of Political Science, Cambridge Review of International Affairs and others. His latest book “National identity and Japanese revisionism” came out with Routledge (2019), where he also acts as an advisory board member for Asia-Pacific Studies. He was the principal investigator for Japan Foundation and GAUK projects and co-investigated an ERA project. Currently he works on Japanese national identity, for which he received funding from the Czech Science Foundation (2018-2020). Šárka Kolmašová is the Deputy Head of the Department of International Relations and European Studies at the Metopolitan University Prague, where she also gives lectures in the field of global security and international protection of human rights. Since 2014, she is a member of the Peacebuilding and Postwar-Reconstruction Commission of the International Peace Research Association. In 2008-2012, she was a research fellow of the Institute of International Relations, Prague. Furthermore, she was an external lecturer of the Department of Political Science at the Faculty of Philosophy and Arts, Charles University in Prague, and the Department of Political Science at the University of Hradec Králové. In 2012-2015, she was the head researcher of the post-doctoral project funded by the Czech Science Foundation (GAČR), entitled Significance of Humanitarian Intervention and the Responsibility to Protect: the Case of Libya and Syria. In the past, she was participating in several other research projects, including the Network of Cooperation in the Field of Non-European Areas (RESAREAS), funded by the European Social Fund in the CR. Within this project, she was a short-term visiting scholar of the Canter for Peace Research at the University of Los Andes in Bogotá, Colombia. In her research, she is focusing on humanitarian interventions and the concept of the Responsibility to Protect, armed conflicts resolution, and particularly protection of civilians in serious crisis situations. In addition, she is doing research on the Czech Foreign Policy of the Czech Republic and especially its multilateral dimension. 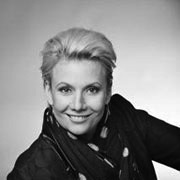 She is the author of the book Metamorphoses of the Humanitarian Intervention Concept: from Rwanda to Libya (2016) and the co-author of the collective monograph Czech Republic in international organizations (2015). Together with Petr Drulák, she co-edited the publication Non-Western Reflection on Politics, including her own chapter on the Zapatistas movement in Mexico. She further published several academic articles in peer-reviewed journals, including recently published: „Inconsistencies between Libya and Syria? Pragmatic Revisionism and the Responsibility to Protect“ (in Central European Journal of International and Security Studies, 2016). Together with Kateřina Krulišová she is preparing a research article on legitimization strategies through sexual(ized) violence in military interventions implemented in Libya and Mali. Radana Makariusová currently works in the Department of International Relations and European Studies at Metropolitan University Prague as a senior lecturer and in the Department of International Relations at the Faculty of Social Sciences at Charles University in Prague where she defended her Ph.D. dissertation in 2007. Her research area is terrorism, global terrorism, homegrown terrorism, global governance and activities of various kinds of non-state actors, especially the radical ones operating in the current global system. She is a member of several non-governmental organizations such as the Global Governance Watch, among others. She participated in a research grant provided by the Czech Grant Academy which studied the activity of private military and security companies in various international settings such as Afghanistan, Libya, Somalia, etc. She published numerous articles as well as several monographs on the subject of terrorism. In 2003, she published the monograph called „Terrorism, Global Terrorism and the Era of AlQaeda“ with the Aleš Čeněk publishing house. In 2015, she published a monograph called „Global Governance and Non-State Actors“ with the same publishing house. She regularly attends international conferences both in Europe and overseas. 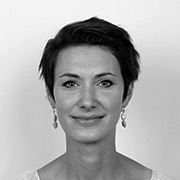 Since 2014, Radana Makariusová has been intensively involved in personal development and techniques for mastering the mind. As a result of this new research interest, she publishes a new monograph entitled „How to think right? Change yourselves to change the world“ this year. Michal Vit graduated in European studies at Masaryk University in Brno, Czech Republic where he obtained his doctorate in 2017. Previously he was associated with the Europeum Institute for European Policy (Prague) and Institute for European Policy (IEP) in Berlin. His research focuses on the process of national identities forming of political parties in Central-East Europe and transformation power of the EU in Western Balkan. He underwent research fellowships at the University of Konstanz and the University of Vienna. Currently runs web portal ceeidentity.eu. Alexandr Burilkov completed his PhD on maritime security in the Western Pacific and the Persian Gulf at the University of Hamburg in 2017. 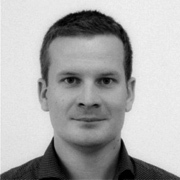 He was previously a junior research fellow at the GIGA Hamburg. His research focuses on innovation in military strategy, the role of non-state proxy groups in foreign policy, and the security environment in the Western Pacific and the post-Soviet space; recently he has completed “Russian Maritime Strategy since the Ukrainian Crisis”, a chapter in an upcoming two-part volume on maritime security to be published by Routledge. 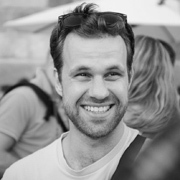 He also participates in research focused on the quantitative analysis of the processes of influence and diffusion in regional organizations, especially using spatial and temporal methods; his most recent work in this theme, coathored with Tobias Lenz, is “Institutional pioneers in world politics: Regional institution building and the influence of the European Union” (EJIR 2016). Izabela Surwillo earned her PhD in International Relations from the Central European University in Budapest, Hungary. She received a master’s degree in International Relations from the University of St Andrews, UK and a bachelor’s degree in International Relations from the University of Leicester, UK. She was a visiting researcher at the School of Slavonic and East European Studies at the University College London, UK and a visiting researcher at the National University of Kyiv-Mohyla Academy, Ukraine. She was also a visiting research fellow at the Philipps-Universität Marburg, Germany. As a part of her global teaching fellowship awarded by the Central European University she held a post of a visiting lecturer at the Univates University in Lajeado, Rio Grande Do Sul, Brazil. She is a co-author (with K. Henderson and G. Lazaridis) of ‚Between Euroscepticism and Eurosupport: the attitudes of urban and rural populations in Poland 2000-2008’ (Europe-Asia Studies, 2010). Her current research interests include international relations theory, security studies and energy security. She is currently working on the paper in the area of critical security studies and on a book monograph on energy governance in the CEE region. 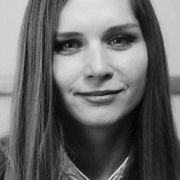 Katerina is a senior lecturer at the Security and Technology of Communication Departement, teaching also at International Relations and European Studies departments (in both Czech and English versions) at MUP. 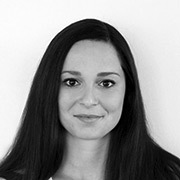 Katerina’s main research interests are Gender in Security Studies, and R2P and Sexual(ised) Violence in Conflicts. She is completing her PhD candidacy at Nottingham Trent University, UK, in 2017, focusing on Female Protagonist of Sexual(ised) Violence in Rwanda and the Former Yugoslavia from a post-structural perspective. In the past, Katerina has been invited to Brown University for a research gathering at BIARI Programme on Ethnicity, Conflict, and Inequality in Global Perspective, funded by Santander Universities. She has published on the topics of female self-martyrs in Chechnya, and sexual(ised) violence in armed conflicts. The latest publications include The “Black Widow” Media Discourse: “Desperation, Irrationality and Vendetta” in Dagestan published in CEJISS, e-chapter on Sexual Violence in Armed Conflict: A Weapon of War? published at interdisciplinary.net and a number of review articles. In research collaboration with Sarka Kolmasova, the article on R2P and Sexual(ised) Violence Discourses and Legitimisations is forthcoming. At the moment, Katerina is working on her monograph on Female Protagonist of Political Violence and International Legal and Media Discourses, and further develops her R2P analysis together with her colleagues. 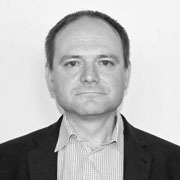 Zbynek Raida is professor at the Department of Radio Electronics, Brno University of Technology, and the Department of Security Studies at Metropolitan University Prague. From 1996 to 1997, he was with Laboratoire de Hyperfrequences, Universite Catholique de Louvain (Belgium) researching variational methods for the analysis of electromagnetic structures. At present, his research and education activities have been focused on electromagnetic fields and their exploitation for wireless transmission of information. Being engaged in C4SS activities, the current research has been directed towards securing wireless communication in the physical layer of the communication system. Vít Střítecký is an assistant professor in international security at the Faculty of Social Sciences, Charles University, Prague and Metropolitan University, Prague. He studied security and IR programs at the Charles University, Uppsala University, Sweden and University of St. Andrews, Scotland. 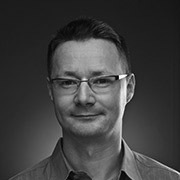 In his research as well as academic management activities he gradually focuses on the interplay between security and technology which has resulted in two interdisciplinary security programs and large project proposal connecting security experts across the social science, natural science, medical and technical fields. On top of his academic activities he holds a position of the member of the Executive Committee responsible for R&D&I of the Technological Platform Energy Security, which is a leading regional public-private-partnership project in the area of critical infrastructure protection. He has written several expert reports focusing on security and defence policy and defence industrial policy (MFA, European Parliament, Defence and Security Industry Association of the Czech Republic) and his academic publications include numerous articles (Communist and Post-Communist Studies, European Security, Osteuropa) and book chapters as well as four research monographs. 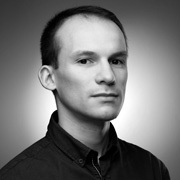 He currently works on a book looking at the role of defence industry in shaping the EU security and defence policies and together with Petr Špelda further develops computer assisted analyses of large data sets, mainly in the areas of propaganda or conspiracies. Petr Špelda received his PhD. at the Department of International Relations, Faculty of Social Sciences, Charles University. He is a lecturer at the Department of Security Studies, Metropolitan University Prague. He submitted his dissertation titled Pictorial Possible Worlds proposing a synthesis of philosophical devices of the analytic tradition with computational approaches to cognition. 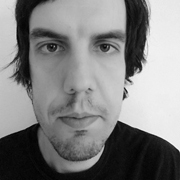 His current research concentrates on various aspects of the human-machine nexus including philosophical debates regarding the contemporary developments in the field of representation learning and thus of the Artificial Intelligence in general. His empirical facing research comprised of developing computational methods that would contribute towards better understanding of the online political extremism. In this regard, he specialized in topics concerning the visual propaganda of the Islamic State and of the broader Sunni jihadist milieu. He presented his work at several conferences including ECPR Graduate Student Conference, ISA Annual Convention, and the Vox-Pol Mid-Project Conference.